2. Go to your email and activate your account if your register us email account. 3. 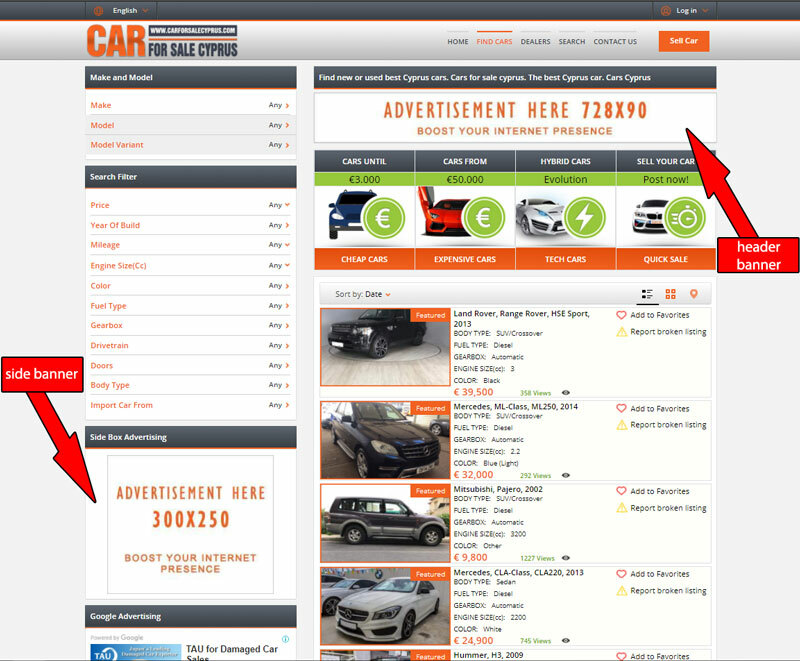 Go to https://www.carforsalecyprus.com/login.html with your email and password or facebook connect. 4. Final go to https://www.carforsalecyprus.com/add-banner/select-a-plan.html and choose a plan you like.